"Jordan Peele's Us operates on two levels. Neither level is entirely successful, each one weakens the other." "The more you ponder the questions Us raises and the manner in which those questions are raised, the less you will be rewarded." 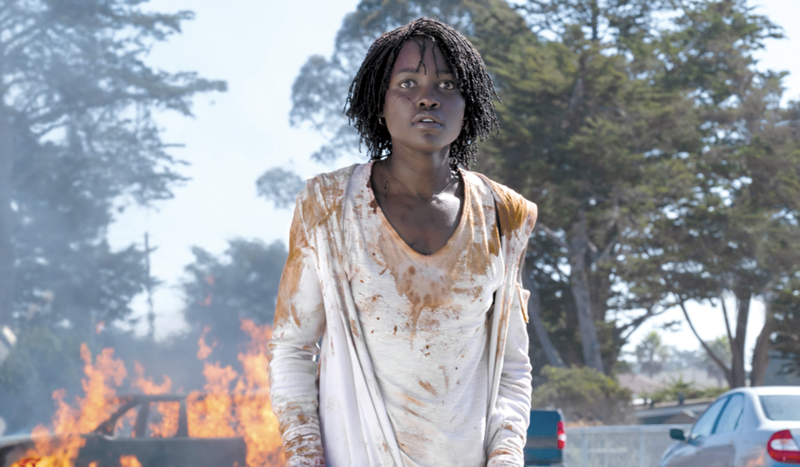 Jordan Peele’s Us operates on two levels. Neither level is entirely successful, each one weakens the other. The first level is almost entirely allegorical. The friend who accompanied me to the preview screening noted that Us was a lot more thematically “in your face” than Peele’s previous (and debut) film, Get Out. He’s right. Though Get Out was hardly a masterclass in subtlety, Us has an agenda and puts metaphor ahead of everything else. Everything else includes the second level on which Peele’s new film primarily operates, a narrative level. That Peele’s metaphor, which I will not explore in great depth here for risk of ruining much of the movie, regularly impedes on all the elements of the film that serve that metaphor is ill-considered storytelling. The opposite is also true. Mishaps in logic in regard to narrative and character do a disservice to Peele’s broader vision. The two levels of the film are never fully realised and they are bridged by a broken sense of logic that hurts both of them. The more you ponder the questions Us raises and the manner in which those questions are raised, the less you will be rewarded. It is only a problem because one of the principle intents here is clearly to engender consideration. Another is to make us laugh, which Us does well. Another is to scare us, which it does more thoughtfully thank a lot of other recent horror films. Us is an uncommon example of a horror film (though something like what Peele has created here arguably demands a broader scope in genre classification) that understands that being startled and being scared are two distinct ordeals. We expect jump scares in every horror film we see. They rarely arrive in Us. Instead, we experience a sense of dread brought on by atmosphere and circumstance. It’s the variety of horror that lingers in our consciousness long after a film has ended. A jump scare is over almost as soon as it has begun. Atmosphere is something with which Peele displays considerable aptitude. The opening sequence, which is also the best part of the film, establishes a sincere sense of apprehension, not only with the action but with the clever photography and incredibly effective sound design. The sequence is never matched but Peele nonetheless maintains a strong handle on conveying a mood throughout. He also demonstrates a lack of trust in his audience. References to the Jeremiah 11:11 passage in the Bible are handled with the subtlety of a sledgehammer and exposition, particularly during the film’s final act, is laboured. Us is also riddled with those logic blunders that even those of us not inclined to pick a film’s sense apart will find jarring. When we are explicitly told as much as Us tell us, our natural gaze veers toward whether what we are being told works within the world the film in question has established. There is too much compromise and contradiction in Peele’s world. Ambition is a wonderful thing in creative mediums. In cinema, an art form largely steered by pecuniary concerns, it is rare. Ambition in genre cinema, like horror, is commendable. But Us is burdened by its own ambition. It’s the first of those two layers and ultimately the ambition counteracts the horror and the story, and vice versa. Us understands that the best points are made indirectly but then paradoxically engages with its point too directly for them to be well made. 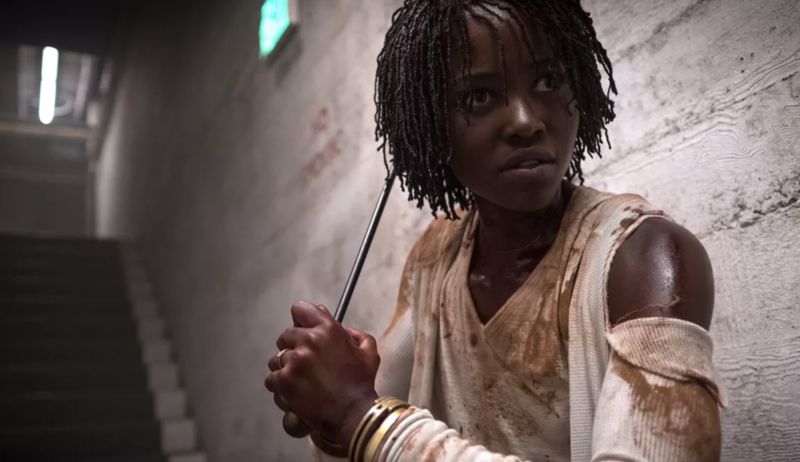 There is much to admire about Jordan Peele’s second film, though it falters under its own weight. Besides, the worst part of Get Out was the last quarter, when there was a lot of running and a lot of blood and all the good work fell by the wayside. There’s a lot more running and a lot more blood in Us, and the good work is decidedly less good.